What better way to keep the kids happy, entertained and outside while the grown ups ring in the New Year? Large Bounce sizes just $30 more. We promise to be real quiet when we pick it up in case you've partied a little too hardy ;) Call Laurie at 602-820-8030 right now for fast delivery. *Delivery charges apply. 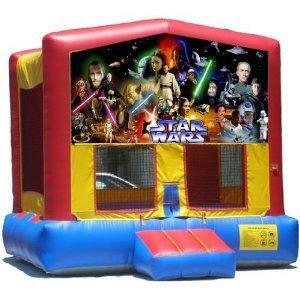 This offer valid on regular size bounce houses. 12/31/18-1/1/19 only. Reserve any Standard Bounce House and tell us on the comment line that you want the New Year's Special and we'll add the discount and the extra time.